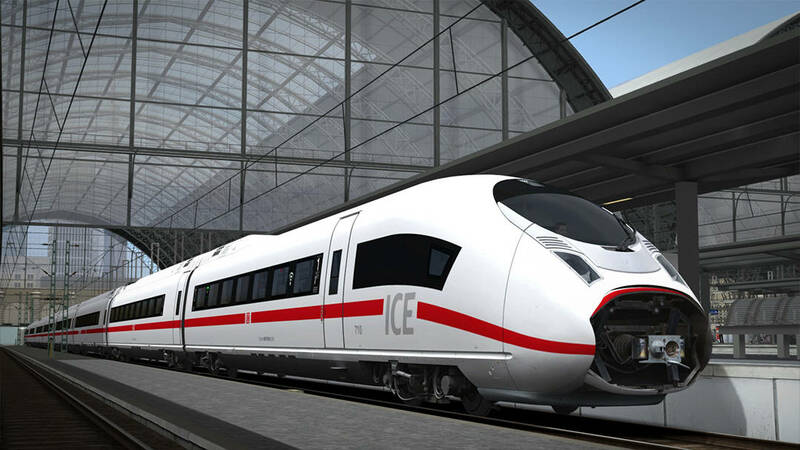 The Velaro family has represented the forefront of high-speed international rail travel since the mid-1990s, when the ICE 3M was ordered for cross-border operations at the hand of Deutsche Bahn. The ICE 3 design was popular, and ordered for use in Spain, China and Russia. Fast forward to the late 2000s, and the standards of efficiency and crashworthiness had changed, so when DB placed an order for new international sets, some technological advancements were required. 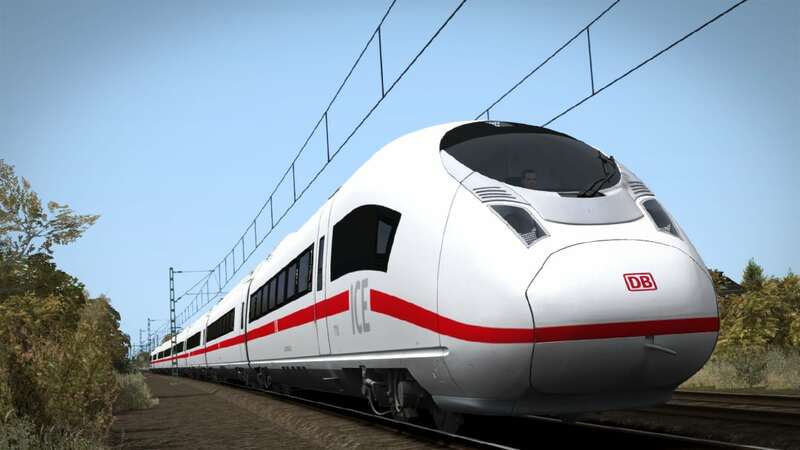 The changes culminated into an evolved form of the Velaro family, the “Velaro D” (where D stands for Deutschland). It was designed to use 20% less energy than previous ICE designs and seat more passengers, and was projected to enter service in December 2011. Production was delayed by about 2 years, however when they finally entered service, their benefits were soon reaped. The specification of the evolved Velaro also permits it to travel through the Channel Tunnel, however DB themselves are yet to take advantage of this. 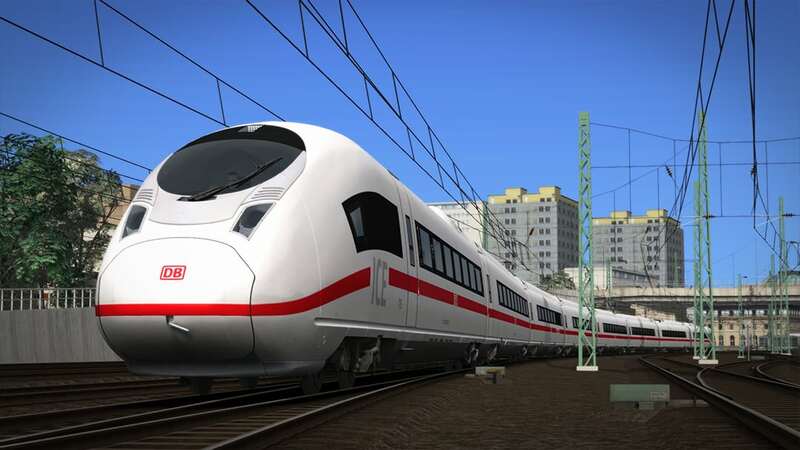 DB’s fleet, which is classified as the DB BR 407, is based at Frankfurt, so it is only fitting that the upcoming DB BR 407 for Train Simulator will be set upon TS2019’s Frankfurt High Speed: Frankfurt – Karlsruhe route, which the 407s operate across frequently. The visual artistry has been undertaken by the talented Master Key Simulations, with the “under the hood” physics, sounds and advanced simulation coming from the mastermind, Maik Goltz. 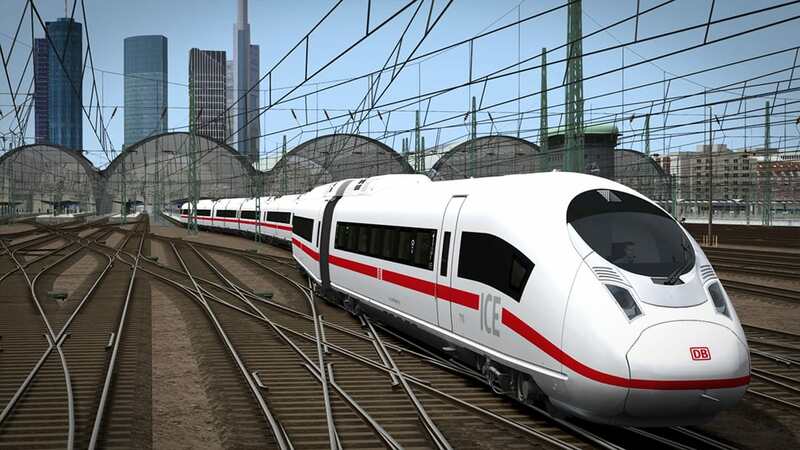 You will get the chance to explore all this, in detail, while racing along the Frankfurt High Speed: Frankfurt – Karlsruhe route in the trio of scenarios we are working on, and of course, you will also have quick drive at your command with single and doubled up trainsets at your disposal. 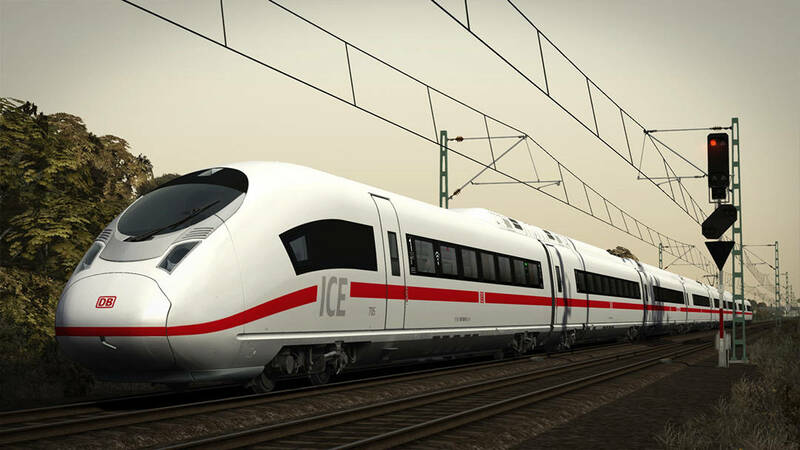 The DB BR 407 “New ICE 3” shaping up to be a fantastic addition to the Deutsche Bahn line up, you won’t want to miss this one, so make sure you own Frankfurt High Speed: Frankfurt – Karlsruhe (included in TS2019) so you’re ready for when the DB BR 407 arrives in Train Simulator! 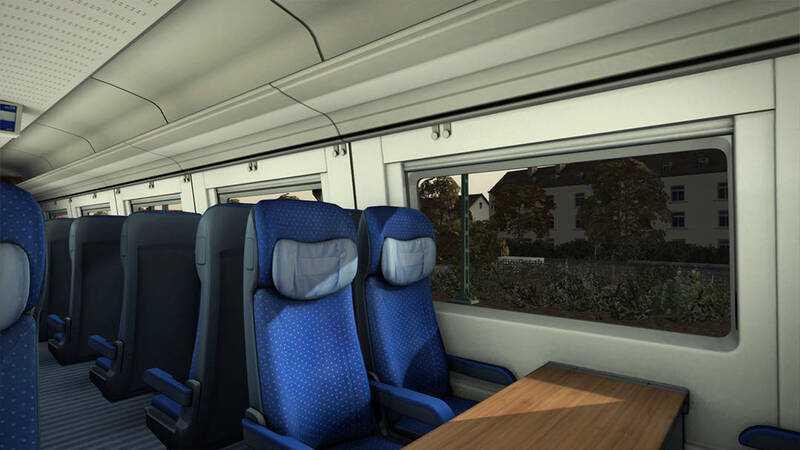 Up close, and we can see the level of fidelity that has been captured by Master Key Simulations, bringing the exhilarating high-speed experience to virtual life within Train Simulator unlike any ICE before it. Then, combine that with the set-up work by Maik Goltz, and you will find yourself totally immersed. The front and rear coupler hatches can be opened in the cab, but you cannot close them, instead they close themselves as you accelerate past 30 km/h. You can also set non-player trains to have their coupler open at the start of a scenario for authentic joining/dividing operations. 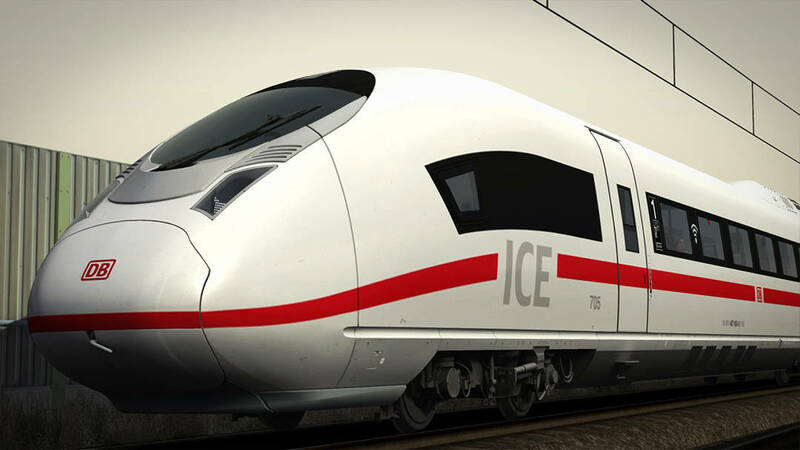 With the DB BR 407, it will be your task to perform vital ICE services along the Riedbahn and Rhine Railway, connecting key populous such as Mannheim (above) and Frankfurt (below). Once you’re up to speed, taking in the scenery as a passenger is a fantastic experience, as the cabin environment has been exquisitely recreated, and with everything flying past, you’ll definitely get to see a lot in no time. 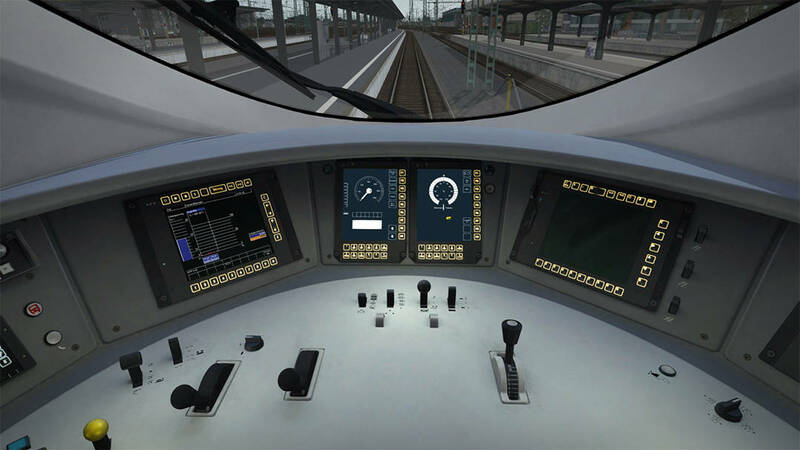 Powering its way along the Riedbahn, the DB BR 407 will soon be arriving at Frankfurt Hbf, and is also maintaining a steady pace towards being yours to take command of in Train Simulator!